Calendula & Concrete: What do you do with Summer Savory? 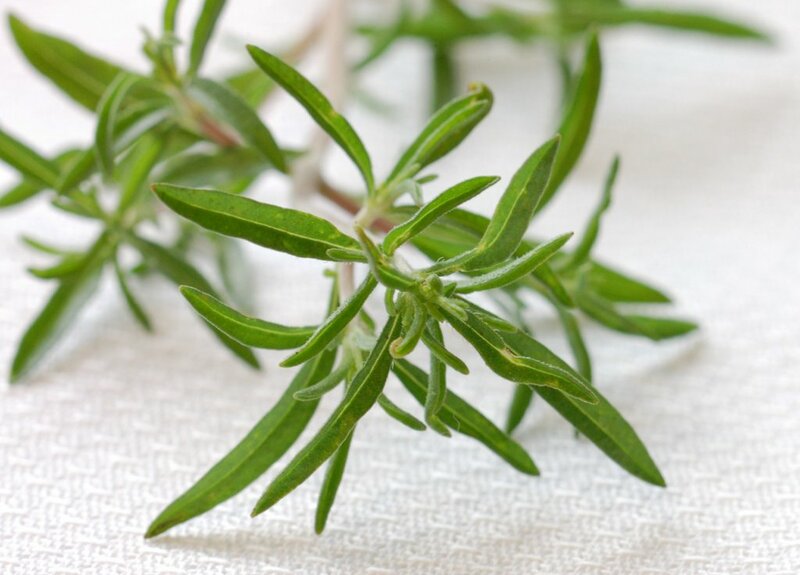 What do you do with Summer Savory? When it comes to summer herbs, basil always takes center stage. Flat-leaf parsley also plays a starring role. Rosemary and thyme? They're popular favorites, too. But what about summer savory? I don't think I've ever seen fresh summer savory sold in stores, and I hardly see any recipes that use it either. 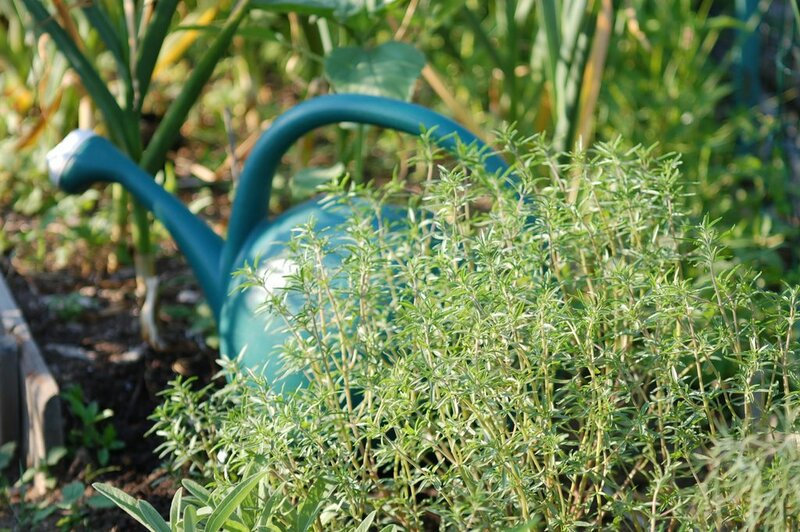 Well leave it to us, we've got plenty of summer savory growing in our garden this year. It's been fun to grow something a bit out of the ordinary, but now I'm wondering: What should we do with all of it? Last weekend we pulled out a few plants to make way for some new oregano, and now we've got a whole bag of the stuff that's just sitting in the far reaches of our refrigerator. We've used summer savory as a topping for baked fish, and it was great that way, but I don't know what else to use it for. 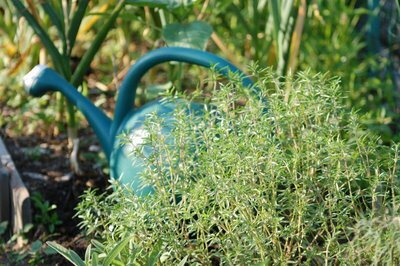 So I'm casting this question out to other gardeners and foodies out there: How do you use summer savory? Any ideas? Recipes you'd be willing to share? Should we be guinea pigs and try making a summer savory pesto? I have some too, but not the remotest clue what to use it for. I do like the smell. and I know that infusing the leaves for 5 min..in hot water.. and drinking is good for signs of indigestion and flatulence.. Thank you for the recipe. It sounds wonderful! I will definitely try this. I have shallots and scallions growing in the garden too, so this will be a great use for them as well. Thanks! Thank you for these links. The recipes look great. I think I might try the black bean soup. I've always heard summer savory was good to season beans. Yes, beans.... and smoked pork shoulder! Savory is a "must" in Eastern European dishes. They use the black one. I love it in stuffing for chicken, turkey, and any other I was raised on stuffing with savory just add a nice sprinkling to start then if you love the taste add more next time. When you mash potatoes add butter and tsp. savory if you like the taste add more the next time its delicious. I'm a bit late coming to the discussion- I just happened to google Summer Savory and there you were. Over here (Switzerland, that is) this herb is literally known as "bean herb" and stereotypically, one cooks it with... beans. *I* make something called a Waehe. It's a big flat vegetable pie. You need a big crust (pizza or short, just not sweet) grate three small zuchinni (have also used pumpkin, or mixed some tomatoes with the zuchinni. salt it ahead or it's soggy) About half a cup of creme fraich, two eggs, and about 150g of cheese (grated, usually greyerzer) salt and pepper, and a BIG handful of summer savory, chopped up. Spread it out and bake about 200c (400f) for 40 min. or so. This is a fun recipe to experiment with. Tarragon & Chocolate -- Who Knew? Take the Community Garden to the Roof?